Considered by many as the birthplace of the Inuit qajaq, Greenland's coastal waters offer a sea kayaker some of the finest paddling, probably anywhere in the world. Whether gliding over mirror-like fjords at sunset or battling through moving pack ice in stormy tidal passages, time spent traversing the coastline will not be easily forgotten. 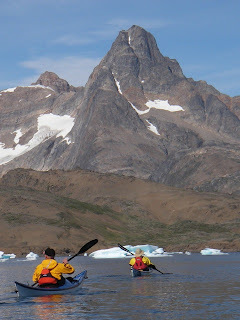 The wildlife, miles of unpopulated wilderness shoreline, the calving glaciers and icebergs as well as stunning light conditions make for a rich and varied experience. 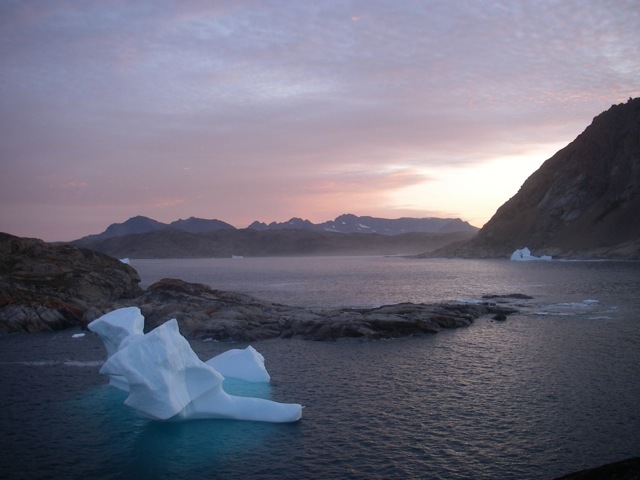 Although the whole of Greenland's coastline is of interest to paddlers, it is the wild and remote East Coast that inspires most of all. A combination of incredible mountains and seascapes together with the ancient Inuit culture that lives on in the region's few tiny settlements will capture hearts and minds. 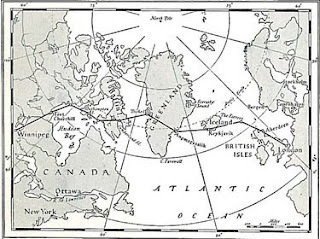 One other draw to this region of Greenland in particular is the connection with Henry George "Gino" Watkins. 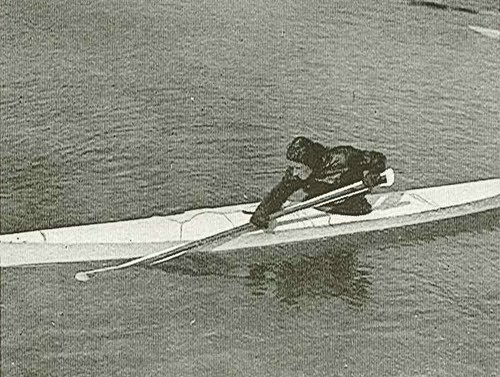 Gino Watkins was only twenty-five when he died on 20th August 1932. Yet by that time, he had earned a reputation for himself such as few men twice his age enjoy. 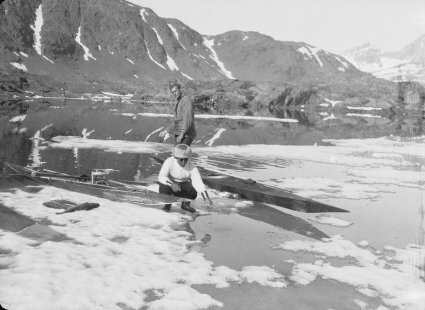 The leader of several major expeditions to Arctic terrain, he had won the respect of both elders and contemporaries through the strength of his mysterious personality. A passionate enthusiast for adventure, he was yet level-headed and shrewd; pleasure–loving, perhaps cynical in some ways, he was outstanding among explorers for his careful assembling of the details of the intractable wilds into which he journeyed. 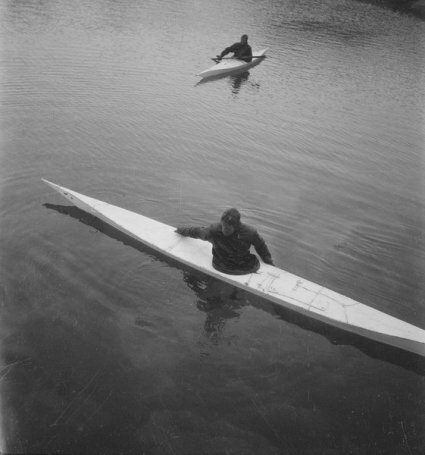 Always interested in outdoor pursuits, Watkins had become an avid mountain climber during his schooldays in Sussex. 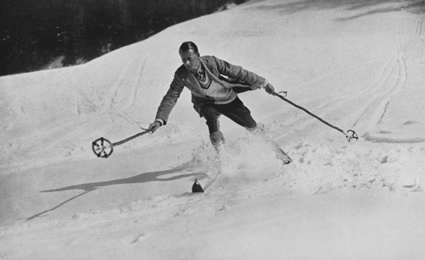 Many summer holidays were spent garnering enough climbs to qualify for membership of the Alpine Club until, in 1925, he suffered a serious fall while hunting chamois in the Austrian Tyrol. After just three weeks of convalescence, he headed to Trinity College, Cambridge to begin a degree in Geography. However, because of the severity of his fall, doctors advised that Gino study little during the first two terms, and it was while searching for something to keep his mind occupied that Gino attended a lecture entitled 'Man in The Polar Regions'. 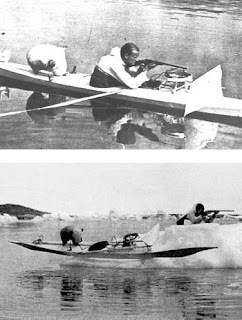 Inspired by this, Watkins hunted down the lecturer and badgered him until he agreed to introduce him to J. M Wordie, a seasoned polar explorer who had taken part in Shackleton's 1914-17 expedition. The pair immediately hit it off. Wordie was due to set off to the Arctic in the summer of 1926, and although his party was complete, he sensed promise in Watkins and offered him a place on an expedition to East Greenland the following year. 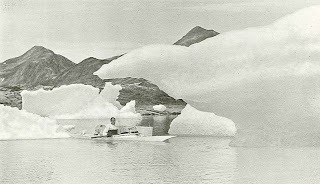 When the trip was then postponed, Watkins decided to organise an expedition of his own to Edge Island, off the coast of Spitsbergen. 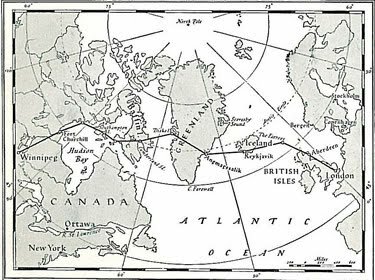 This was followed by another to Labrador, and he then took part in the British Arctic Air Route Expedition of 1930-31 to Greenland. Watkins returned to East Greenland in the summer of 1932 he set out, with three companions. 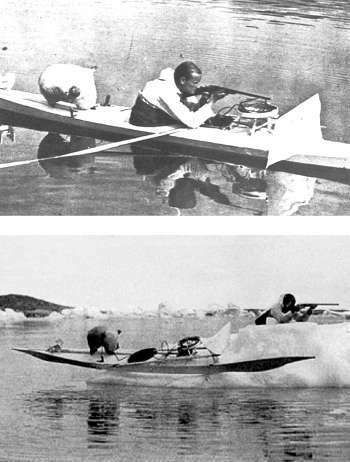 The team took so much scientific equipment that they had little room for food supplies, intending to hunt seals and polar bears themselves. As the most experienced hunter, Watkins was often left to hunt solo. A firm believer in utilising local knowledge, he used a kayak that had been purpose built for the trip. It was while hunting seals, on 20 August 1932, just over a month after the expedition left England, that Watkins disappeared. 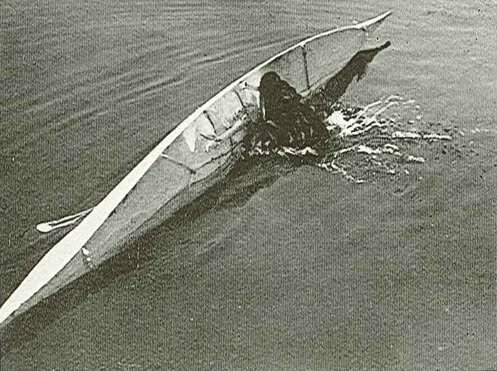 His kayak was found adrift in the northern branch of Lake Fjord, and his trousers and kayak apron were discovered on a floe a kilometre away. 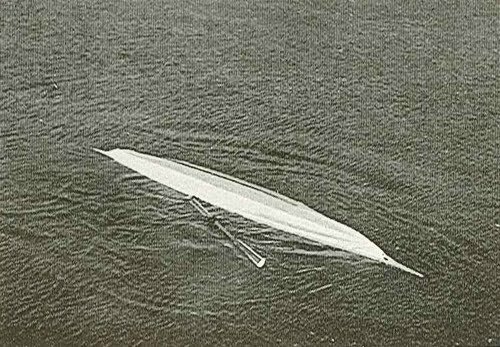 A search for his body proved fruitless. 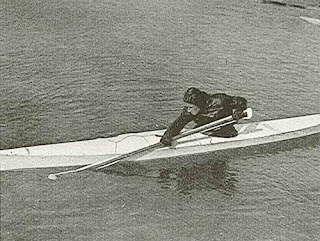 Watkins kayak has hung within the Royal Geograhical Society's for many years and the hunting equipment that was found inside it is now stored within the archives. 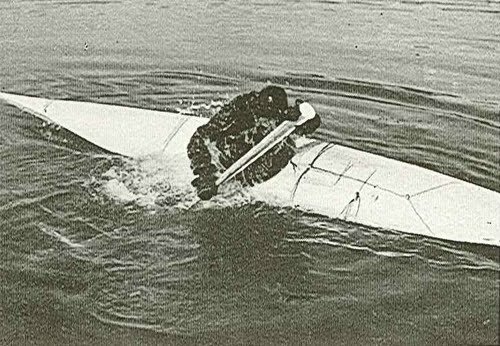 Gino is credited as being one of the first Europeans to master the art of rolling for practical reasons, that being for survival whilst hunting, rather than showmanship like Hans Pawlatta. 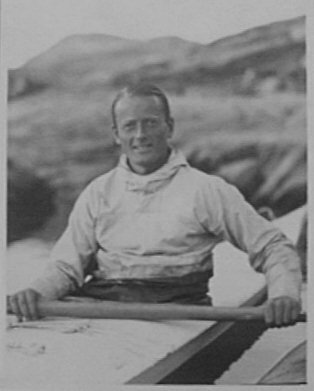 For those interested in emulating the paddle strokes of Henry George "Gino" Watkins, the Gino Watkins Memorial Fund, under the joint trusteeship of the University of Cambridge and the Royal Geographical Society, gives grants towards expeditions that meets its objectives of guiding and inspiring enterprising young people towards scientific research and exploration in the polar regions. If you are feeling adventurous, I recommend participating in an expedition organised by Martin Rickard of Sea Kayak Adventures, Shetland. Martin has extensive knowledge of the region in which Gino explored and of Gino Watkins himself.